Are you in the mood to relax your mind and rejuvenate yourself on a vacation? Well, India is the place to go. 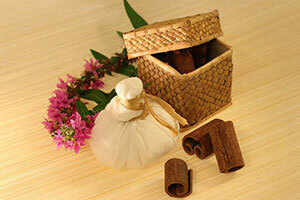 Kerala in South India offers just the right combination of health therapy called Ayurveda and a relaxing vacation. Known for its abilities to cure many diseases since the ancient times, Ayurveda and therapy combined make the whole rejuvenation process an interesting experience. This form of therapy has now been extended to tourists on domestic as well as international travel mainly as a form of relaxation and an effective stress buster. More and more people around the world understand that the connotation of a vacation is slowly changing and the meaning is now pointing towards removing stress rather than just having a good time. Ayurveda is the traditional medicine form in India which helps cure diseases by discovering and killing the root factor that causes the problem. This is an effective way since it looks for permanent cure as opposed to momentary relief. Influenced by the miraculous remedies and therapies more tourists are exploring these possibilities when they visit India. This slowly created another flavor of International travel called medical tourism. But that does not mean you need to be sick to enjoy this rejuvenation experience. Catering to this demand, many spas dedicated to Ayurveda and aiming to provide rejuvenating experience have popped up in various parts of India. Goa, Kerala and Rajasthan have been the main tourist attractions in India and therefore these places have many spas providing these services. Kerala has a dedicated Ayurveda center where many international tourists come frequently to cure themselves of stress, muscular weakness and other ailments. Most of the resorts in Kerala provide these facilities especially keeping in mind the revenue they can generate from those on international travel. There are dedicated Spa tours in India that focus on energizing the body, stimulating the mind and calming the body. These carry out various cures related to health and well being such as detoxification and cleansing, deep relaxation, anti-aging, weight & inch loss and stress removal. An extension to this concept for those contemplating international travel and relaxation are the spa resorts of the tourist destinations in India. The resorts in Rishikesh in Himalays, the Angasana Spa in Bangalore are such example of Spa resorts. They offer a variety of facilities like health and fitness assessments, body composition analysis, personal fitness training, physiotherapy and special exercise zones for aerobic programs. Apart from this they offer gymnasiums and outdoor games facilities as well. So what are you waiting for? If you have listed rejuvenation as one of the goals of your international travel, this is the time to check out the Ayurvedic spas in India. Get a good grip on your life and strengthen it both physically and mentally. You will find the experience refreshing enough to start life with a rejuvenated optimism.